It has been reported that half of UK adults have not been to the dentist in two years. Annual and bi-annual check-ups are indispensable in preventing problems that you may not be able to spot yourself at home and it’s important to remember that there are numerous dental-related issues that present no symptoms. But it’s not just visits to the dentist that the British public aren’t prioritising, it’s hygienist visits too. Hygienist appointments are often neglected as many people do not have a comprehensive understanding of what their purpose serves. 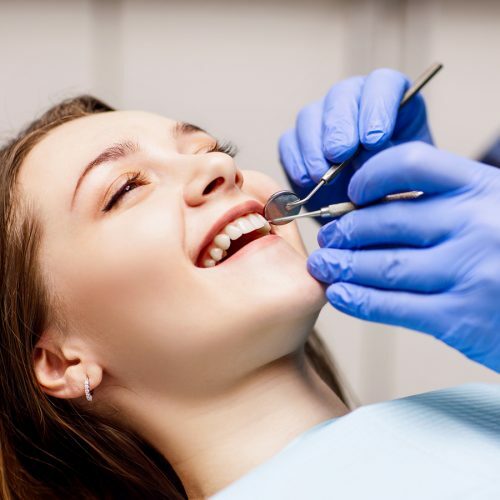 Visiting the hygienist is essential in preventing gum disease; the role of a hygienist is very much focused around prevention over treatment, achieved by performing what is known as a ‘scale and polish’, a deep clean of your teeth to remove tenacious stains and bacteria that cannot be removed through brushing alone. Deep debridement using an ultrasonic scaler – this is the process of removing tenacious deposits such as plaque and tartar. Once your teeth are clean of this bacteria build up, the hygienist can check for decay and infections. Interdental peroxyl flush – we will rinse your mouth with an alcohol-free antiseptic to relieve gum irritation. A peroxyl flush works by releasing oxygen when it is applied to the affected area. Prophylaxic polish – we can now thoroughly polish your teeth, leaving them glossy, smooth and bright. Interdental stain removal – ?? Your hygienist and your dentist work together, each taking responsibility for different aspects of your oral and dental care and communicating together to offer you the best level of care. 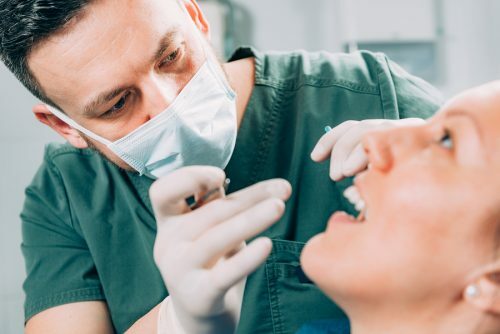 Whilst a dentist has a more all-encompassing role, your hygienist is an expert surrounding gum health, which is the foundation of a healthy mouth. We think everybody deserves access to the highest level of dental care and no one should have to put off seeing a dentist because of their financial situation. When it comes to affordable dental care, the NHS isn’t your only option. Here at The Whyte House we take pride in offering affordable and quality dental care and our team is made up of fully qualified GDC-registered professionals who put your welfare first. Contact our friendly team in Exeter today to arrange your appointment with us. We look forward to welcoming you.